How Do I know if I’m Upgraded to Showbie Pro? The easiest way to tell if your account's Pro is activated. If you’re a teacher with a Pro subscription, you’ll see a blue PRO next to your name. Just tap on your profile picture and you’ll see the badge right away! 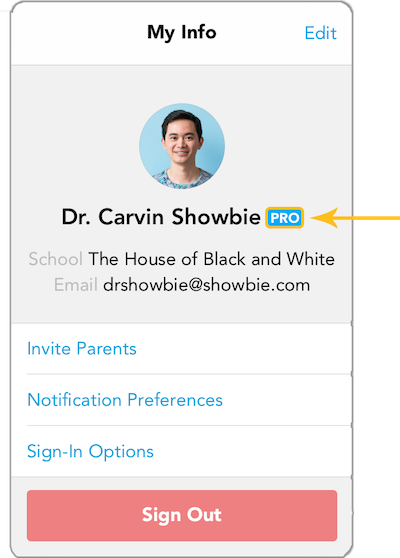 If you don’t have a Pro badge but your school has Pro, contact your school admin or the Showbie account admin and have them invite you into the school account.